The production of brick and other clay-fired products, such as tile, is well known in Northwest Indiana. For instance, by 1882, at least four brickyards were in operation in Hobart, Lake County, Indiana. 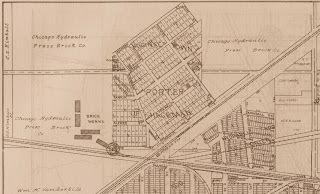 In the Chesterton and Porter communities of northern Porter County, a considerable amount of promotional effort was expended in the 1880s to attract brick manufacturing concerns, especially those syndicates located in Chicago, to the the area. In particular, one businessman in Chesterton had a vehicle that could be used to promote industrial development in the Chesterton and Porter community. That person was Arthur J. Bowser, publisher and editor of the local newspaper, the Chesterton Tribune. Bowser was effective in using his weekly periodical to present persuasive arguments concerning the opportunities available in the community for commercial and manufacturing investment, including the production of brick. Porter, in particular, had a number of characteristics that made it very attractive to potential brick producers. The Lake Shore & Michigan Southern Railway and the Michigan Central Railroad crossed one another at the southern end of the village. Together, these two rail lines provided a low cost and convenient transportation service to distribute brick to a large and rapidly growing market. In addition, the entire community of Porter appeared to sit upon high quality raw material for producing brick and other clay products. One writer of the industry stated that "Unusually rich deposits of heavy lake and boulder clay were discovered at Porter." A third factor that contributed to making Chesterton and Porter ideal locations for brick manufacture was their large immigrant population. Many residents of German, Irish, and Swedish descent were industrial laborers in their home country and possessed certain skills that would be valued in the production of brick. The first brickyard appeared in the area as early as 1872 and was likely a manufacturer with relatively low production capacity. 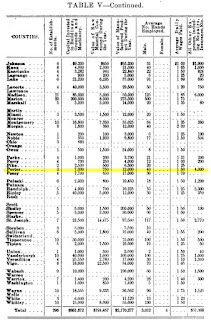 By 1883, government records show that three brickyards were operating in the area, employing forty men. Individually, all three brickyards were relatively small business concerns with combined brick production value being $12,000. report operated in the Town of Porter. 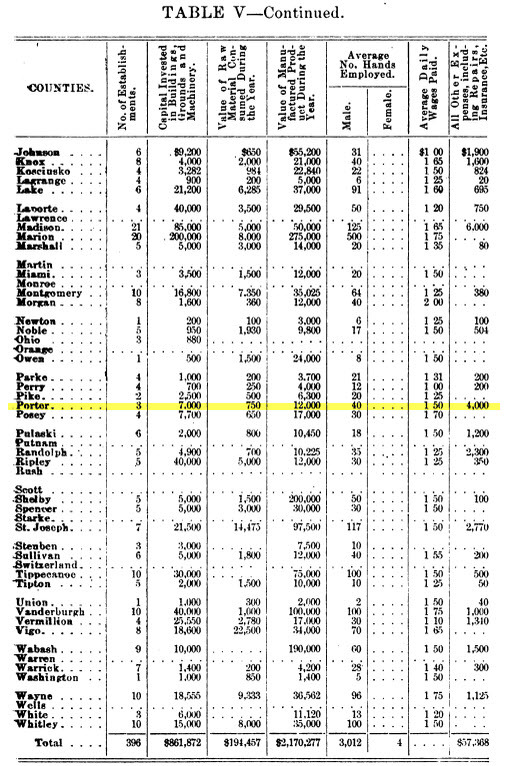 Source: State of Indiana, Department of Statistics, 1894. Sensing opportunity, the Chicago Hydraulic Press Brick Company established a large production facility in Porter through the purchase of the existing brick producers. The company's manufacturing plant was located at 100 West Beam Street, south of present day  Yost Elementary School and the Porter Fire Station. Sexton Avenue bounded the manufacturing plant property on the east, while the two rail lines formed the facilities southern boundary. Today, evidence of the brick manufacturing plant is still visible by changes of topography caused by the extraction of brick-quality clay in the immediate area. Chicago Hydraulic Press Brick Company's manufacturing facilities. Indiana: Including Plat Book of the Villages, Cities and Townships of the County, 1906. 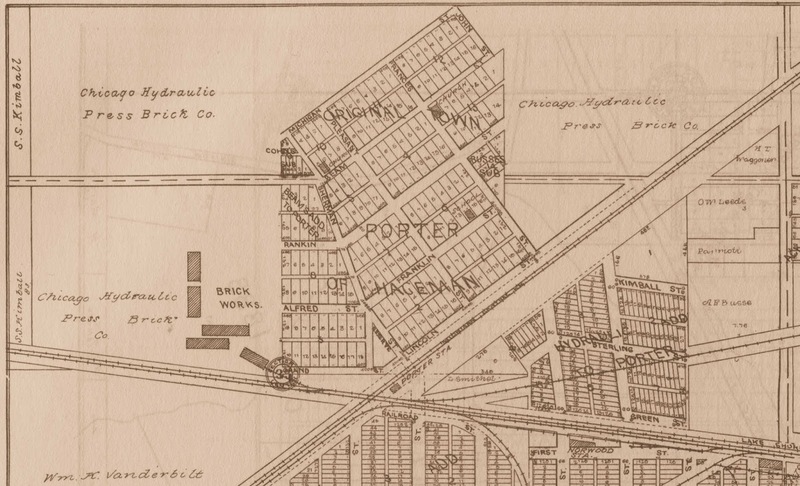 "The works of the Chicago Hydraulic Pressed Brick company, located at Porter, are in flames. Fire was discovered in the shipping department at 9:15 this (Thursday) morning, and at 10 o'clock almost the whole of the entire works were down, except the office, and it may be possible to save the barns. A locomotive on the Lake Shore is said to have caused the fire. Lack of water and adequate fire fighting facilities, together with a high south wind, prevented any fight being made that had a shadow of chance to be successful. The loss is enormous. No particulars can be learned at this writing, as the whole brickyard force and most of the population of the two towns are fighting the flames." and ceased manufacturing bricks in 1924 when clay in the area became too scarce. Particulars of the Greatest Disaster That Ever Visited Porter. In the last issue of The Tribune we had barely time to make a mere mention of the terrible calamity that befell Porter last Thursday, and were obliged to go to press as the fire was at its height. In this article we shall endeavor to give our readers the particulars that can be gathered up to this time. The size of the calamity has dazed the people, and even yet, little can be learned. We enclose herewith our check to your order for $100, for the benefit of your company. We do this in appreciation of your work at our yard at Porter Thursday last. As our works practically are a complete loss, we feel that this amount is only showing you in a small measure how we appreciate the work of yourself and your associates in saving what little we have left. Chicago Hydraulic Press Brick Co.
E. C. Kimball, Gen'l manager. Upon its receipt the boys were dumfounded, but knowing the man behind the check as they did, they accepted it in the spirit it was sent, and will use it in the betterment of the facilities they have. Manager E. C. Kimbell and Mr. S. S. Kimbell reached the scene of the fire at 11:45 that day, the Michigan Central stopping its last train to get them here. By that time there was nothing to be done but wait until the fire cooled down. Guards were placed around the plant, which have been kept on duty night and day ever since for the safety of the public. There are so many underground flues in the burnt district that there was danger that some one might lose his life while looking over the ruins. The kilns, fourteen in number, are damaged but slightly. These cost to erect about $10,000 each. Those filled with brick are still in commission, and the fires were lit under the first one last Saturday. The second one was started Tuesday. On Monday the loading gangs went to work loading cars by wagon, as the railroad tracks were warped out of shape. So far it is found that at least 25 per cent of the brick are ruined. In the small piles the brick are ruined by both smoke and heat, and check and break when disturbed. In the larger piles the damage is not so complete, and after removing the outer layers the brick comes out in fairly good condition. The net loss on the stock of brick will amount to about $15,000. It is found that one of the 50-horse hydraulic press engines and press is not damaged beyond repairs, and it is hoped that the other hydraulic outfit will be found in as good a condition. The boilers are not seriously damaged. They were full of water at the breaking out of the fire. The work of cleaning up the debris was begun immediately, and will continue until the site is cleared. As to the loss sustained, no one, not even the officials of the company, will venture to estimate it, but it is safe and conservative to say that it will require the expenditure of at least $100,000 to start the works again. The company has not decided what it will do regarding rebuilding. A number of the leading officials have been on the grounds, and not until the directors have full information and make a decision, will it be known what will be done. As to insurance we cannot learn whether any was carried or not. Indications are that none was carried in the regular fire insurance companies, as no adjusters have been here, and if any was carried it is likely that it was in the Mutual, operated by the twelve hydraulic companies in the country, who carry their own insurance. All of the employes of the plant are at work. They number about ninety men, and are clearing away debris and loading cars with brick. If the company decides to rebuild they will all be utilized in the work. If not, the greater portion of them will be obliged to move away. This is the condition today, and it is this uncertainty that is so depressing. The company has such immense interests still here that it does not seem possible that it will not rebuild. It owns over three hundred acres of land, two hundred acres of which is as fine as there is in the world for brick making purposes. It has about $150,000 invested in brick kilns that are practically uninjured. Besides this a great deal of the machinery can be repaired so that it will be as good as ever, and to abandon Porter would mean a great loss to the company, as the kilns cannot be moved. We shall hope for the best, but prepare for the worst." During winter and early spring of 1905, the brick manufacturing plant was rebuilt with new facilities constructed to be more fireproof. 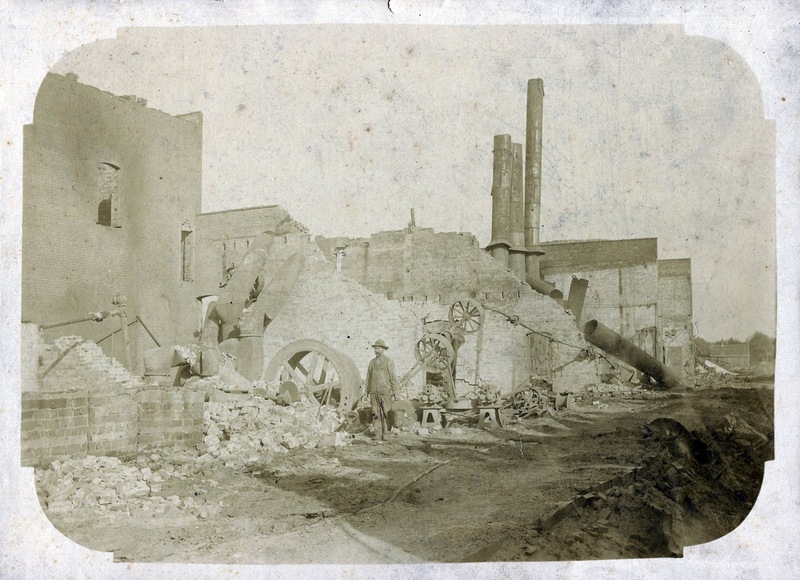 By 1912, the company employed 90 men and was producing more than 75,000 bricks per day. At its peak, the Chicago Hydraulic Press Brick Company produced more than 250,000 bricks a day, employing approximately 400 men during the summer season and 250 in winter; production was curtailed significantly in the winter months due to a slowdown in construction caused by the poorer weather conditions. The company ceased operations in 1924 when clay in the surrounding area became too scarce and costly to extract. The Chesterton Tribune, Chesterton, Porter County, Indiana; October 21, 1904; Volume 21, Number 29, Page 9, Column 6. Untitled column.